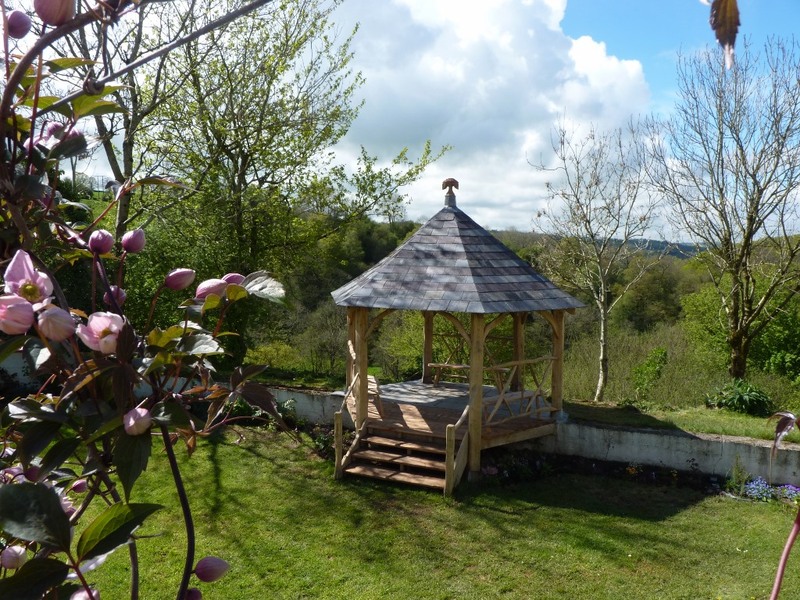 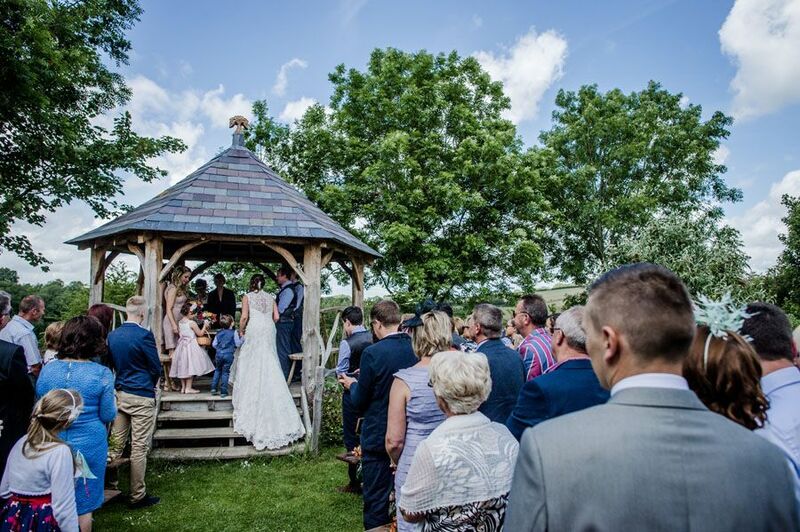 The walled garden has the beautiful hexagonal green oak pagoda, bridging the walled garden and the walkway with the view to the valley. 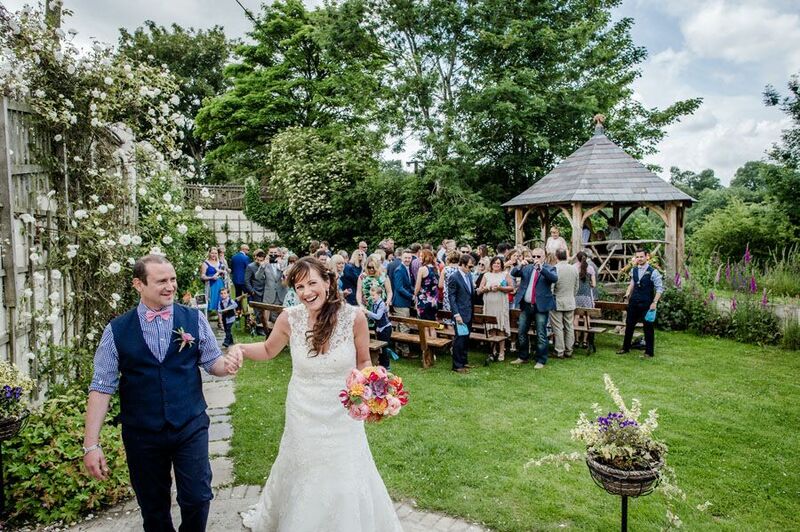 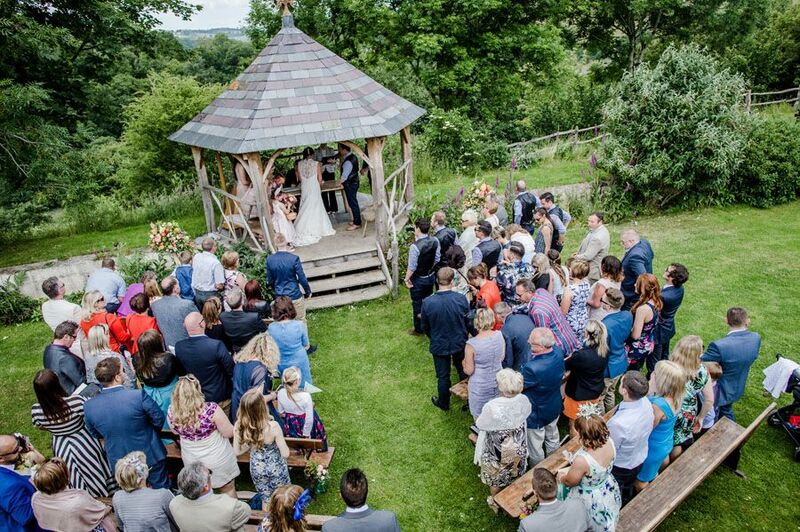 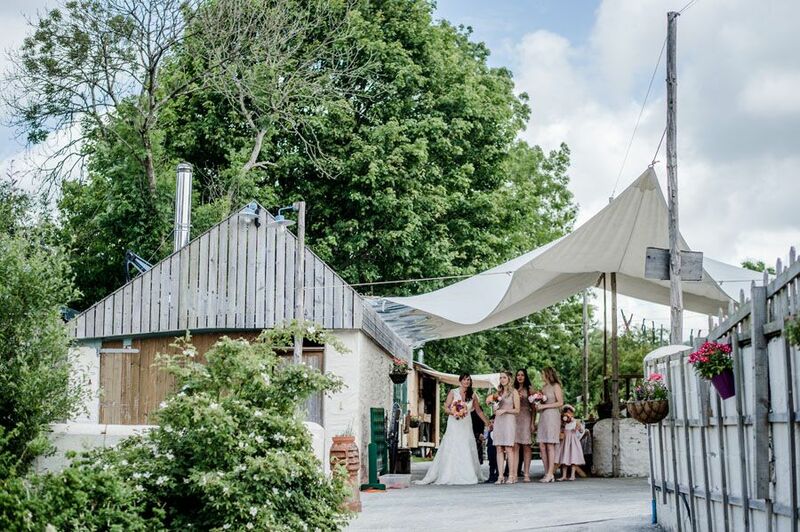 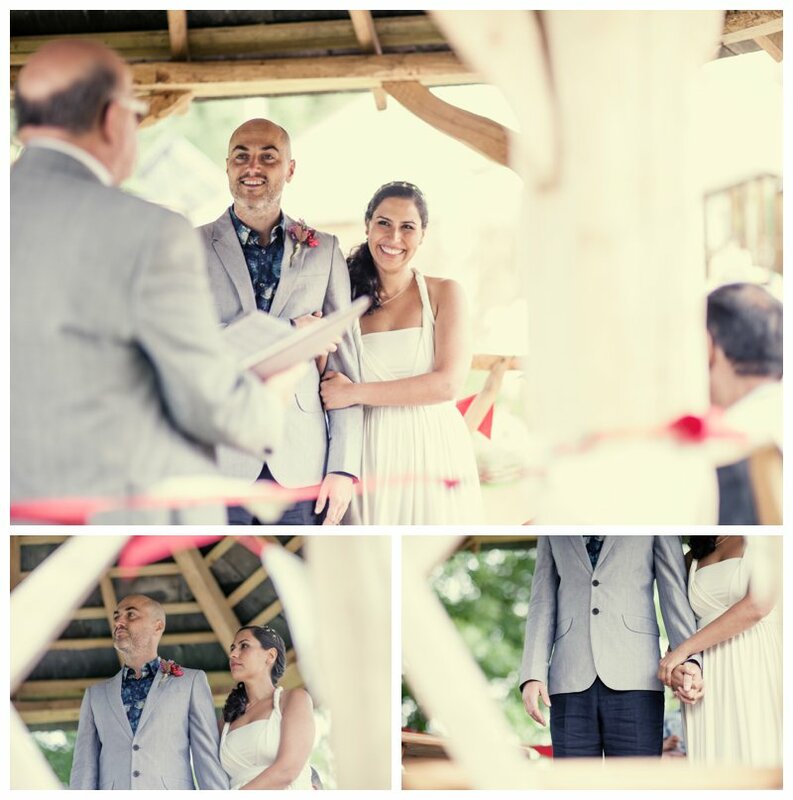 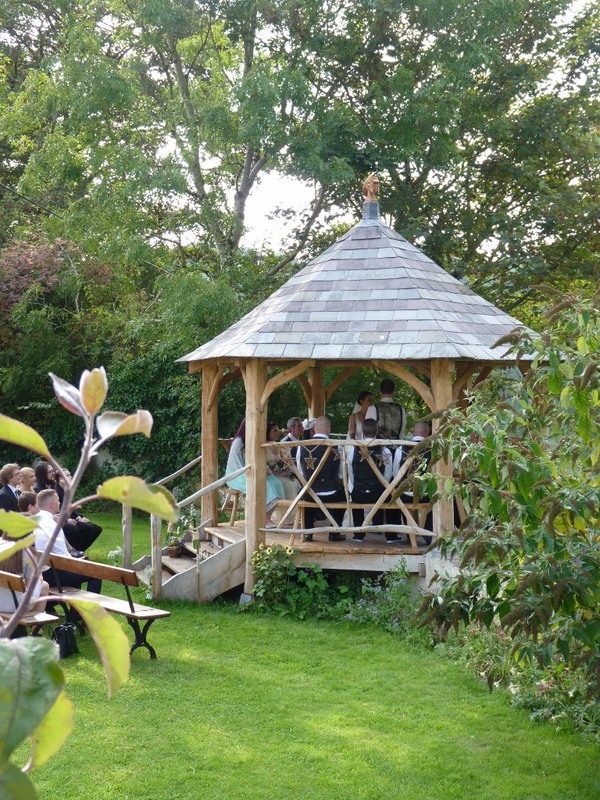 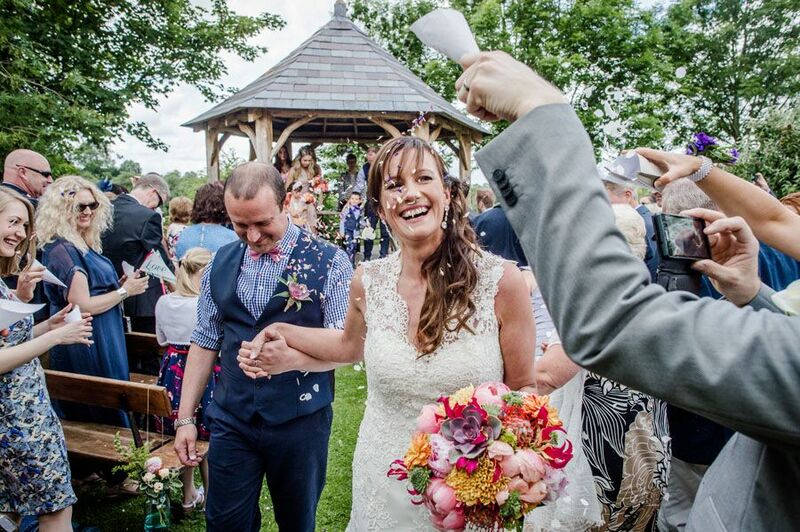 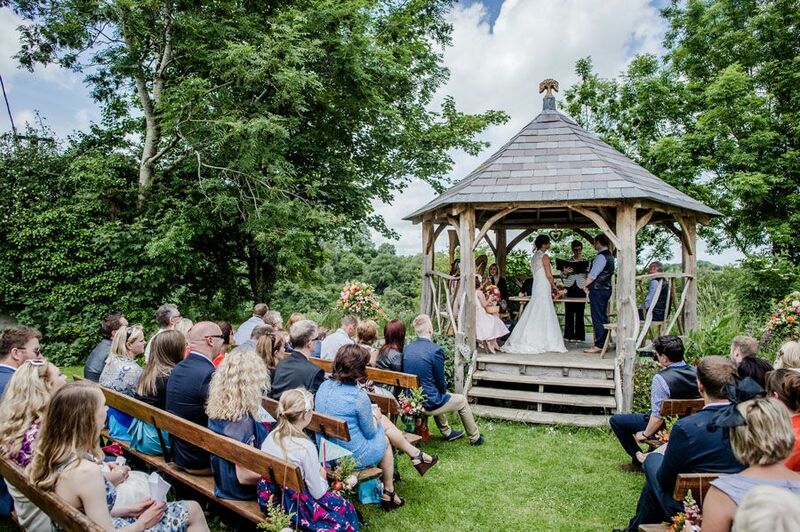 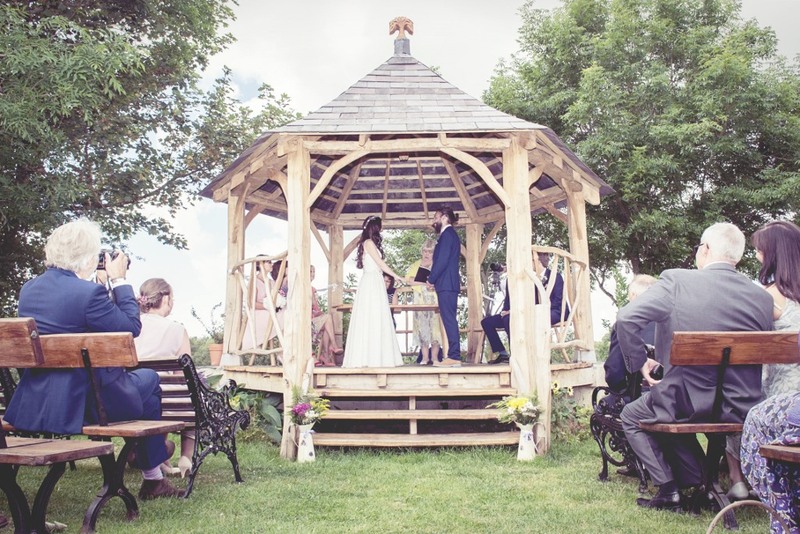 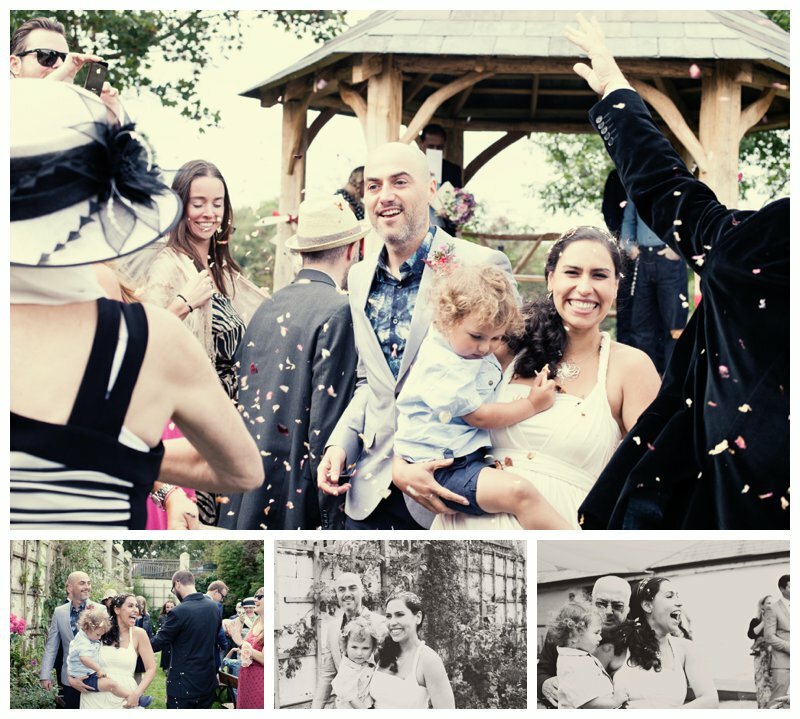 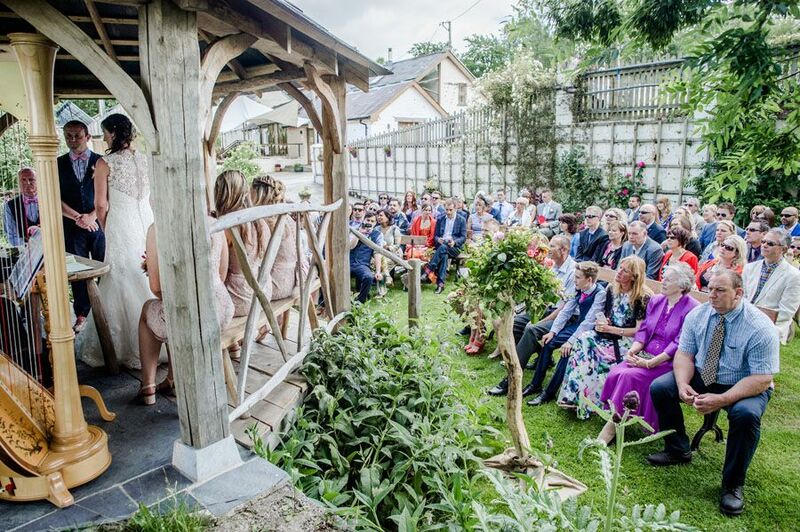 The pagoda is licenced for weddings weather permitting. 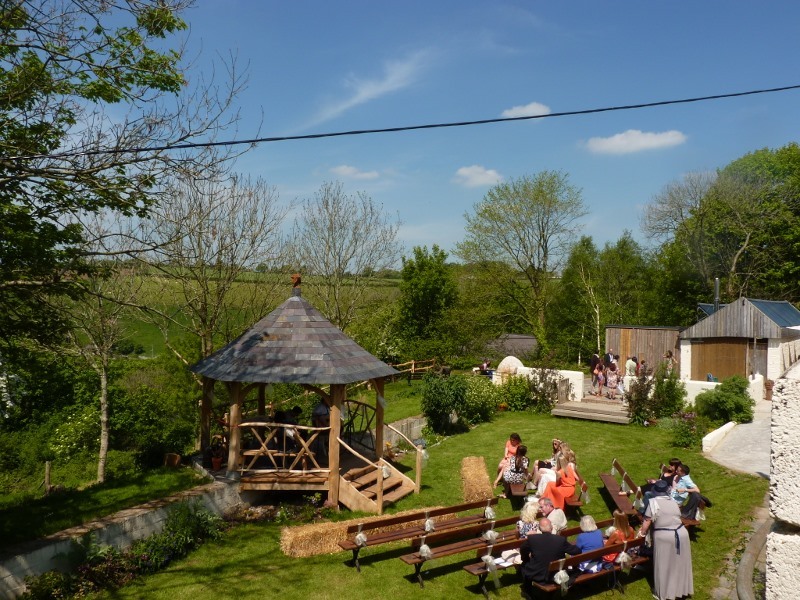 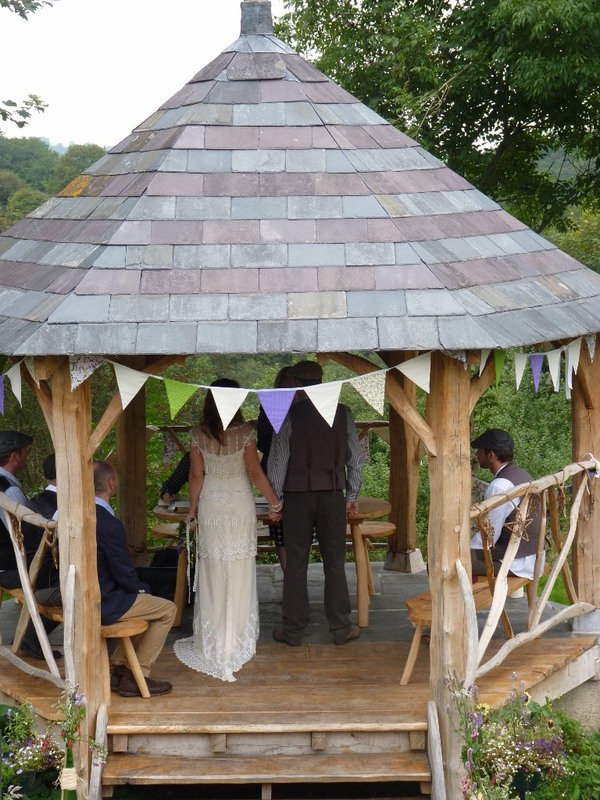 The structure is made with Oak from Coed-y-Bryn forest 4 miles away with logs pulled out by Bonnie our Shire horse, the flooring and steps are from Beech from a tree that fell on the farm and the slates are second hand local welsh slates. 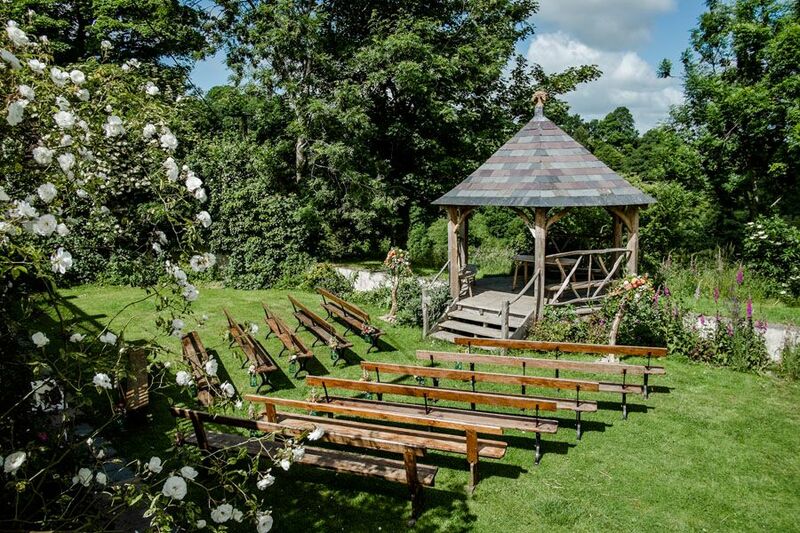 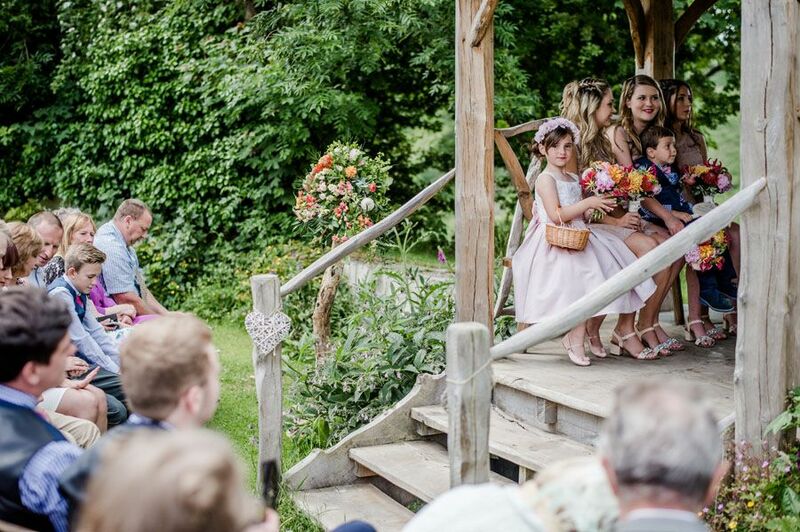 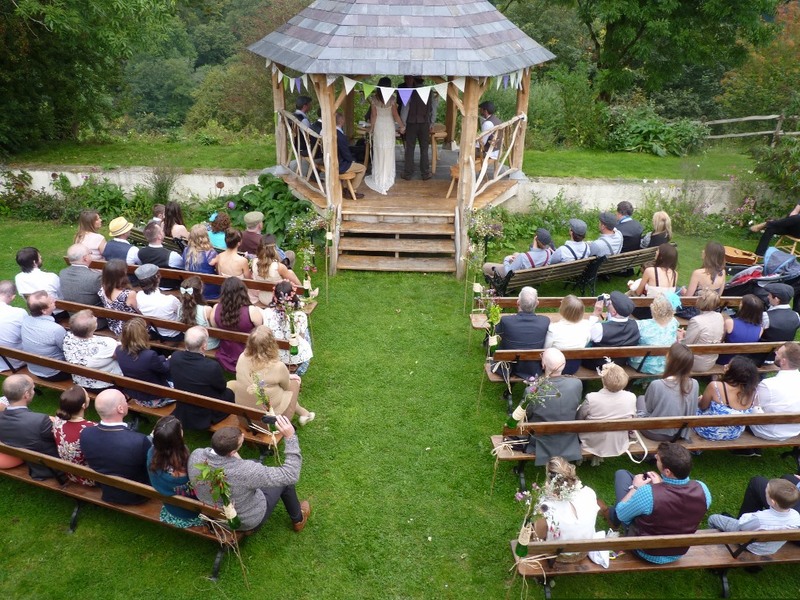 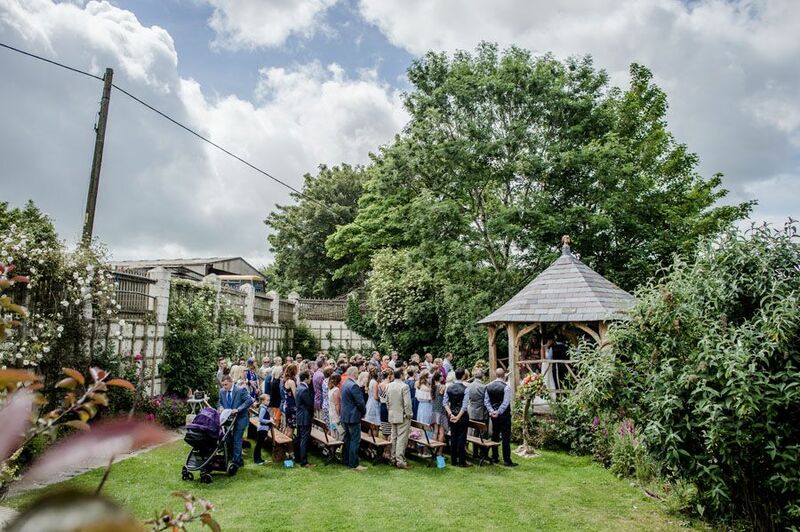 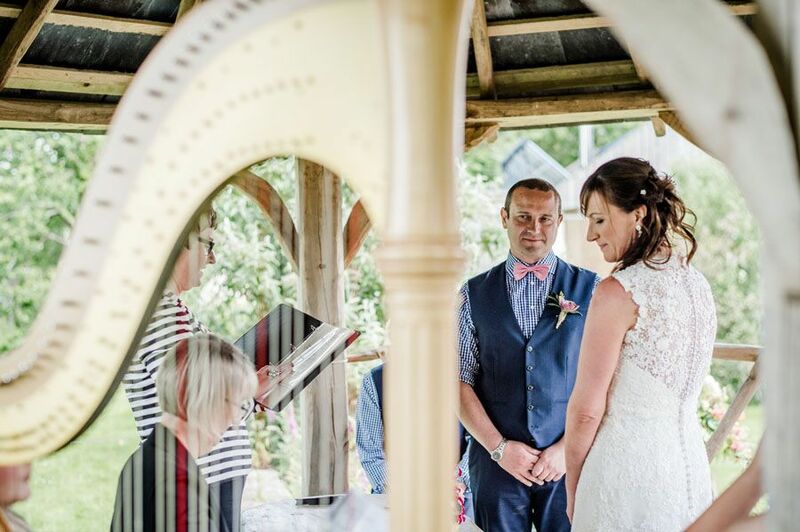 We also have 12 old pitch pine church benches that we use in the garden for the ceremony, if you need more seating we can use straw bales.